This page describes the various ways you can start or stop Bitbucket Server, depending on which method suits your needs. 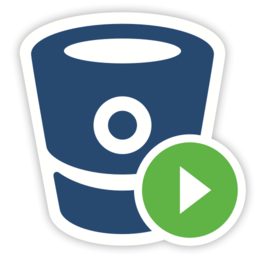 The Bitbucket Server installer can automatically start Bitbucket Server. If you're not using the installer, use the instructions below that are appropriate for your needs to start Bitbucket. For automated starting and stopping of Bitbucket Server on Windows, it should be installed as a service. You can use start-bitbucket.bat for short term debugging, using Ctrl+C will safely shutdown the instance when it is no longer needed. 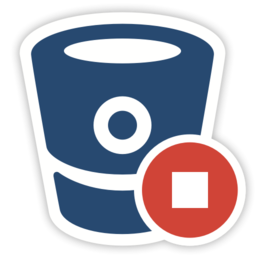 Use the app icons in the <Bitbucket Server installation directory>. These link to the start-bitbucket.sh and stop-bitbucket.sh scripts in <Bitbucket Server installation directory>/bin. For Bitbucket Data Center, the remote Elasticsearch instance must be started separately. It is a requirement of the Bitbucket Data Center setup that you have only one remote Elasticsearch instance for your entire cluster, as described on Installing Bitbucket Data Center. To start (or restart) a remote Elasticsearch instance, see Elasticsearch documentation for specific instructions. On Windows and Linux systems you can choose to have Bitbucket Server installed as a service, and it will be started automatically when the system boots. Start and stop the Bitbucket Server service from the services console, on Windows. Ensure you start both the AtlassianBitbucket and AtlassianBitbucketElasticsearch services. Why would I want to start Bitbucket without starting the bundled Elasticsearch? You're running Bitbucket Data Center: It is a requirement of the Bitbucket Data Center setup that you have only one remote Elasticsearch instance for your cluster, as described on Installing Bitbucket Data Center. You have a remote Elasticsearch instance (for whatever reason): When using a remote Elasticsearch instance, you have to start Bitbucket Server without starting the bundled Elasticsearch instance. You can also refer to How to Install and configure a remote Elasticsearch instance.